don’t grow older. grow bolder. I woke up at seven this morning and couldn’t get back to bed. I had this weird urge to get out of the house so I took Rose on a walk around the block. I love how quiet my neighborhood is in the morning and also how friendly. There were two older women working in a garden by the sidewalk, chatting as they dug into the ground. They greeted us warmly and went back to the conversation. As we were passing I heard one of them say, “Don’t grow older. 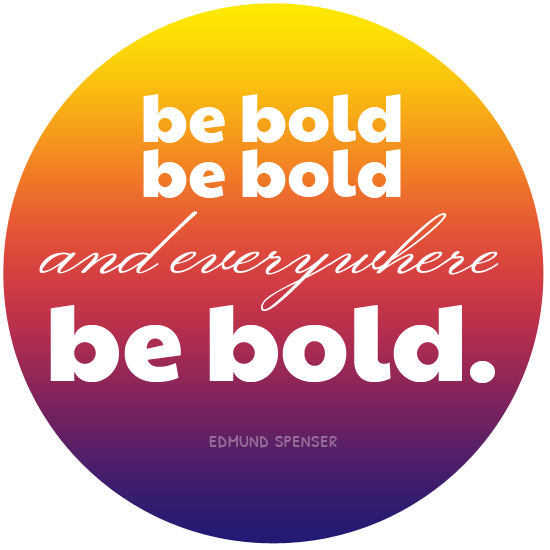 Grow bolder.” I stopped in my tracks, turned around, and told her that was the best thing I’d ever heard. I think she could see on my face that it really had made an impact because she stood up, came over to me, and gave me a big hug. “It took me 70 years to learn that. Start now while you’re still young and you’re gonna change the world.” I thanked her and hugged her again (and tried not to lose it). Walking back home, I felt like my whole body was filled with electricity. Every single thing in this universe happens for a reason. Today is going to be an amazing day.